-	4 flexible stays, positioned vertically along-side the spine, conform to the lower back. -	Velcro fasteners allow adjustable compression for firm support. -	Provides maximum support for strained, sprained and aching back. 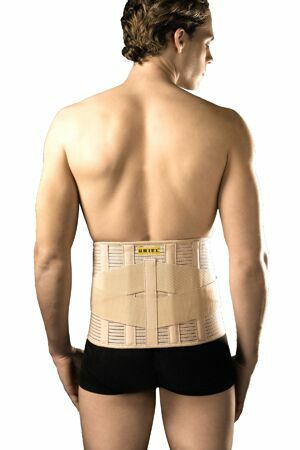 -	Compression effect around the lower back and abdomen. -	Reinforces lumbar and lumbo-sacral areas.